SOLVE: Created Leap for Loaves, a web app that actually tracked how high people leap. 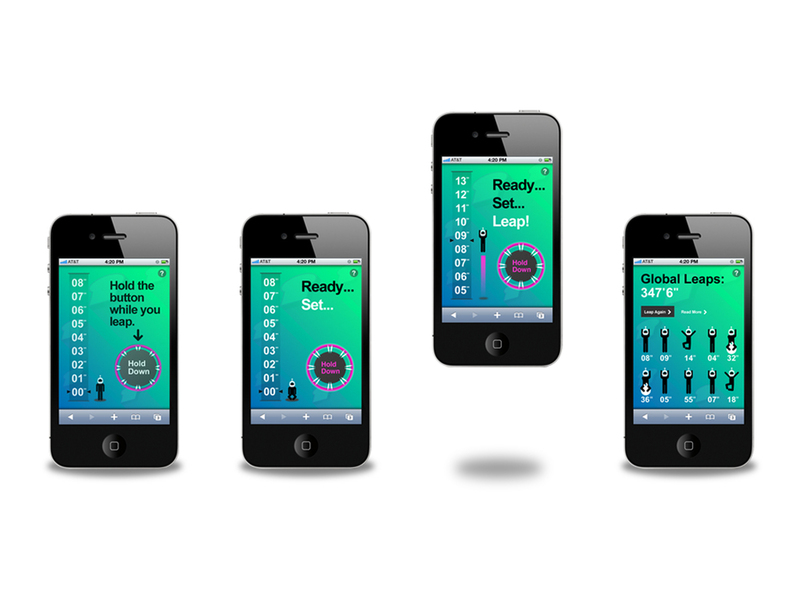 Worked with Designers Michael Seitz and Matt Kuglitsch to bring an engaging interface to deliver a fun experience. This use of technology in tandem with social media helped us reach 163% of our one-day fundraising goal. With Facebook and Twitter as the top two referring sites, “Leap for Loaves” brought in traffic from 28 countries representing 16 different languages, and was featured on the Fast Company homepage.